Home / NCAN Loud and Clear, NCAN Networking Events, Press / 2018 / April / 11 / 2018 Looking North: Seek to be Found…did you miss it? Here is the report. This was a chance to network with both performing and visual arts resources, get updates about NCAN activities and learn about how to spread the word about events and projects. Great thanks to Carolyn Grant and her team at the Museum of Making Music for this very special hosting with delicious food from Tip Top Meats, wine, water and delicious chocolate goodies. Their staff was exceptional in every way as they supplied AV support from BJ Morgan, also marketing manager and a wonderful guitarist Bill Kilpatrick also the educational manager. Patricia Frischer greeting Heidi Rufeh and her daughter Jiela both showing their encaustic paintings at the Front Porch Gallery in Carlsbad until May 12.
their directory listing and update if needed. PLUS please list their events remembering to add images. She announced that the next networking event would be in the summer and NCAN is looking for a volunteer organization to host. This is a great chance to get your facility noticed and appreciated. NCAN is planning a large north county wide promotion for the month of October called Open Your Heart to North County Arts. So think about your October events now. We will launch at ArtWalk Carlsbad on Sept 23/24. The ArtWalk team are giving us room on their stage for snippets of performances. Contact us if you want to be involved. We are also happy to announce that The Forum Carlsbad is a sponsor for this promotion and will be doing a fundraiser for us during their Art, Rhythm and Wine event in mid-Oct. We want to thank both Art Walk and Forum Carlsbad as well as Studio Ace who is the fiscal agent for Open Your Heart to North County Arts and other donations and grant for the next 12 months. 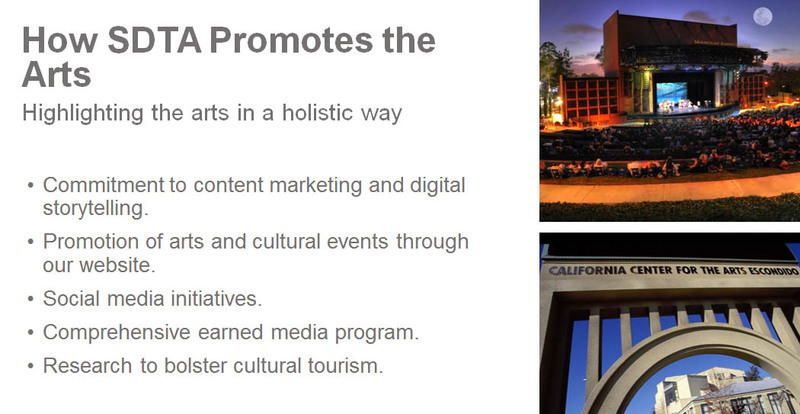 First to present from SDTA was Robert Arends, Public Relations Manager and Jenn Davies Director of Cultural Tourism for the San Diego Tourism Authority, They shared how to list your events for free on the www.sandiego.org website to increase audience. This is not obvious so follow these instructions carefully. 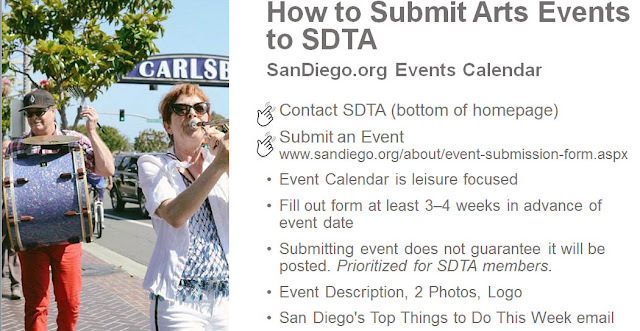 Go to the very bottom of the home page and click on Contact SDTA, then scroll down on the next page to click SUBMIT AN EVENT to list your event. You can also note this direct link to the form page. https://www.sandiego.org/about/event-submission-form.aspx. Any event submissions with images not properly cropped will result in immediate rejection. Submitting your event does not guarantee that it will be posted on SanDiego.org’s Events Calendar. Becoming a member of the San Diego Tourism Authority does qualify your event to appear on the website. However, Mr. Arends says that not being a member does not disqualify you. BUT Event listings about conferences, business seminars and fundraisers (including galas and golf tournaments) are typically NOT PUBLISHED to the calendar. You also need to send press releases to PR@sandiego.org. And these need to be geared to get their attention by mentioning little known gems, or major events.They also explained the many ways they promote their members ($550 annual fee). On their site there are the top things to do for any one week, guides to the good stuff, a special report on arts districts in the North East. SDTA’s big annual meeting is on May 10 at SeaWorld (4-7 p.m.), if you would like to attend for free send us your email address and we will forward this so you get a formal invitation. Unfortunately Ernest J. Dronenburg, Jr. the Assessor/Recorder/County Clerk was not able to attend but did send a printed handout about help on reporting tax benefits for arts organizations. His tips were 1.Call his office for help 619.531.5763 as every case is unique, 2. If you are an approved 501(c)3 you can receive welfare exemptions. 3. Get an organizational clearance certificate from the CA State Board of Equalization at http://www.boe.ca.gov/proptaxes/welfareclainforms.htm 4. Property owners and renters can receive property tax relief if those properties are used exclusively for non-profit activities. We have lots of questions about this so maybe Mr. Dronenburg will come to another meeting to clarify his tips. 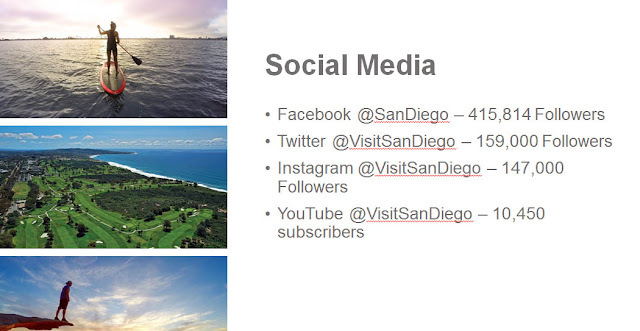 Last but certainly not least, Corky Lang, President of the San Diego Professional Tour Guide Association discussed tours that highlight cultural destinations. His organization tries to familiarize themselves with everything available that might be of interest to a tourist. 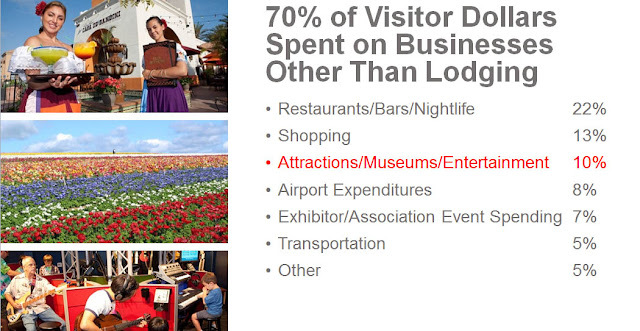 A DMC or Destination Management Company is the facilitator for corporate clients that want to offer this service. It might be a tour for the non-participant of a convention. 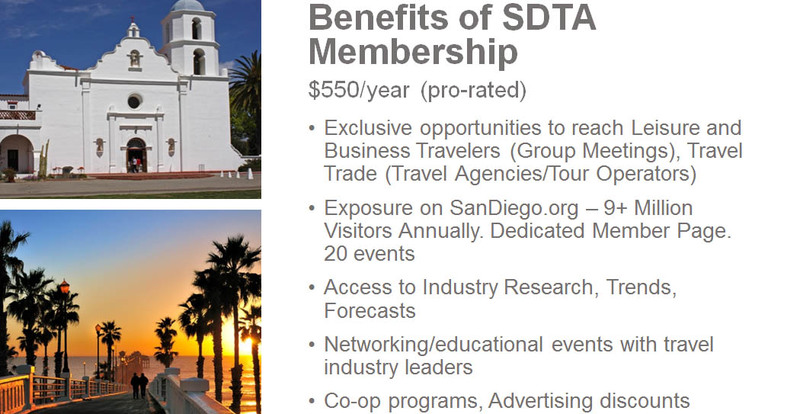 DMCs are members of SDPTGA which offers certification for tour guide who are also members. They have about 100 members who pay from $50 to $100 a year. Mr. Lang’s recommendation were to concentrate on local hotel as his experiences tells him people do not want to go too far afield for their entertainment. .Check out their Facebook page for access to their newsletter. He owns his own tour and travel company and can be contacted at corky.lang@gmail.com 619.254.2188. He looks for organizations and talent that have ongoing activities that can be booked as a one hour part of a half day tour. Lang was very entertaining and we all appreciated his historical story from the 1930 about how you could get out of a traffic ticket by attending two cultural events…those were the days! Everyone attending was put in a draw for a pair of free tickets to Encinitas’ SD Botanic Gardens and the sculpture installation which Naomi Nussbaum curates or two sets of free passes to Carlsbad’s New Village Arts for performances of Men on Boats on until April 22 or Avenue Q from May 18 to July 1.